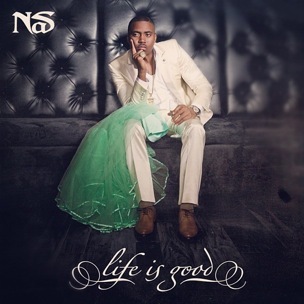 A full stream of Nas’ Life is Good has been released on Grooveshark (via LiveHipHopNation). The album, which lands in stores today, features a smattering of guest stars including Mary J. Blige, Rick Ross, Swizz Beatz, Large Professor, Anthony Hamilton, Miguel and more. The LP has already spawned the singles “The Don,” “Nasty,” “Bye Baby” and “Daughters.” He previously compared his tenth studio project to Marvin Gaye’s Here, My Dear.